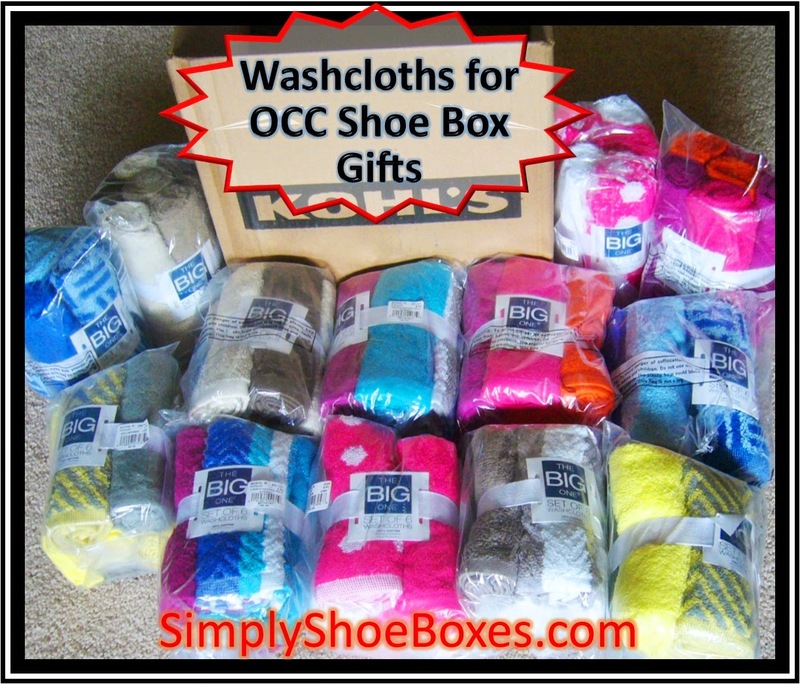 A dear friend I met on Facebook sent me a box full of fabric and laces to sew dresses for my Operation Christmas Child shoeboxes. At the bottom were several flip flops! 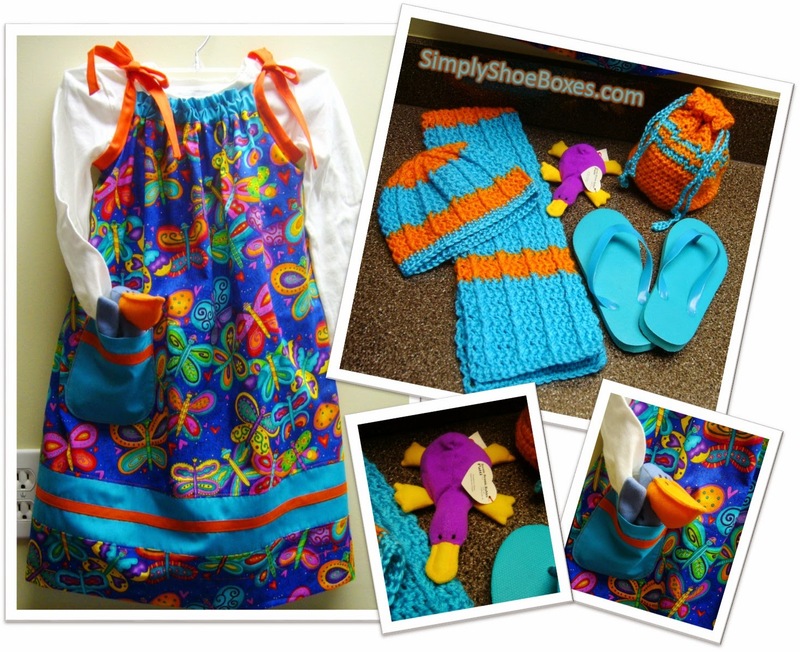 I was so excited and began matching flip flops to fabric. 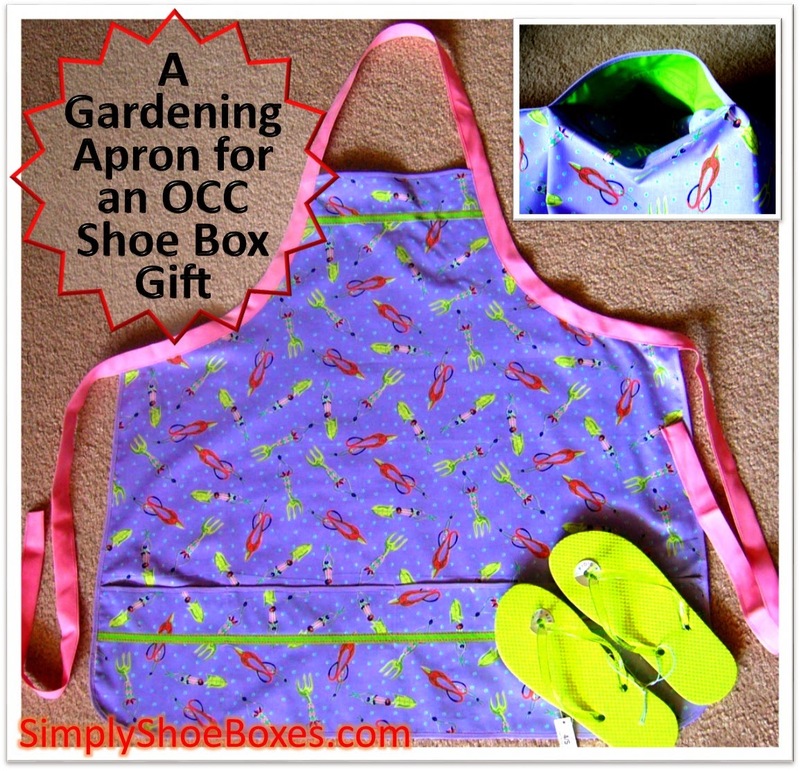 There were two pieces with gardening tools on them and flip flops that matched that would fit older girls. So I quickly decided they would be perfect for gardening aprons. 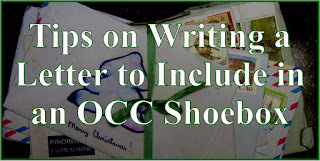 I just love it when I receive surprise Operation Christmas Child shoebox fillers. 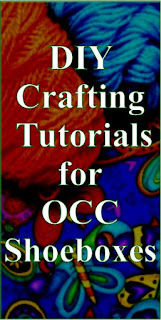 I am also often surprised by the source of some of my fillers and crafting supplies. 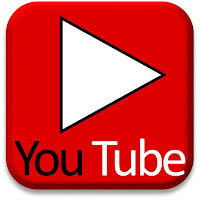 I have received some great items from online friends...ladies I have never met, but who share with me so I can share with the children. I have mentioned before that I have inherited a large quantity of yarn from my mother-in-law. She crocheted hundreds of baby blankets for babies in need. 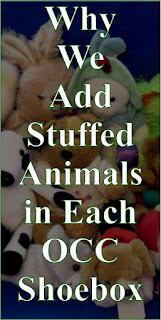 One year she purchased a hundred little dolls and crocheted blankets for them for Operation Christmas Child. 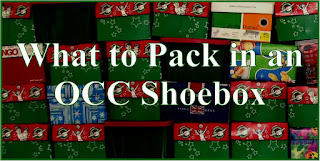 One of my goals this year was to pack more Operation Christmas Child shoeboxes (surprised?). But I also wanted to increase the quality of my boxes. 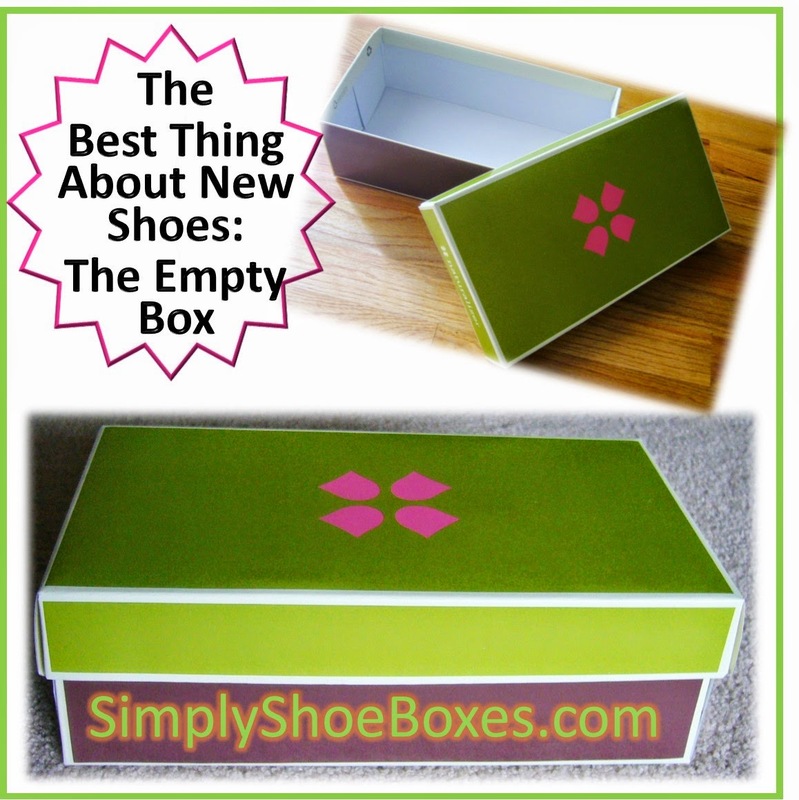 I shared earlier that I have taken to entering blog giveaways to help "support my shoe boxing habit." This is one way I hope to pay for better quality items. Another is to take advantage of online discounts. 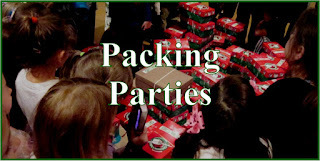 Most of us know that Operation Christmas Child reports most boxes are packed for 5 to 9 year old girls and boys and that 10 to 14 and 2 to 4 year old boys receive the least. 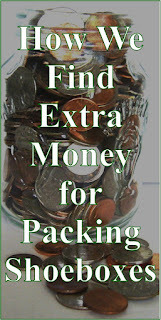 This has caused many of us, including my family, to focus the bulk of our packing for boys. I'm taking some time to rethink my packing in light of what I have learned about many cultures around the world from being involved with the representatives of Dress A Girl Around the World. 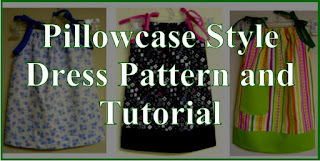 Check out my step by step, illustrated instructions to make your own Pillow Case Style Dresses. 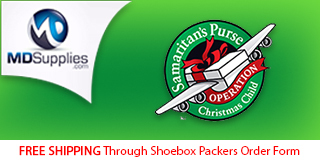 My Favorite Thing About Getting New Shoes: The Empty Shoebox I Can Fill for Operation Christmas Child! I rarely get new shoes. I seem to run them right into the ground before I get another pair. 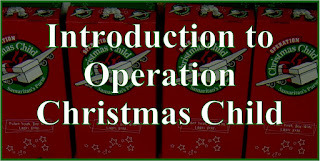 But when I do I am so excited to have another empty box to fill for an Operation Christmas Child delivery! Now off to pick out fabric from my stash for another Pillow Case Style Dress to tuck inside this one. 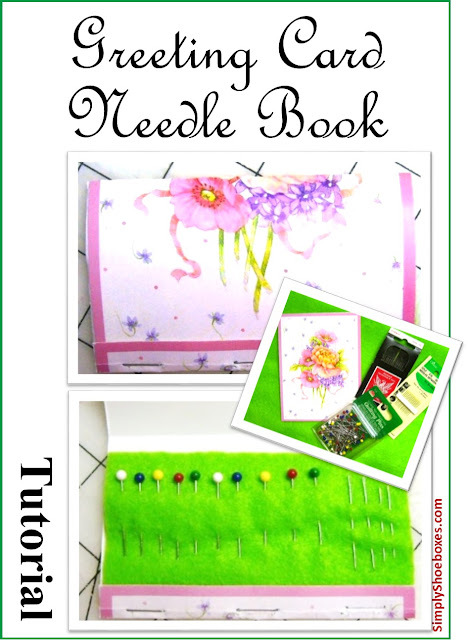 Perhaps pink & green will be nice. Wondering what type of box to use? 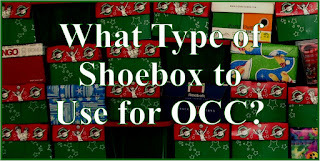 Check out our post: What Type of Box to Use for Operation Christmas Child. 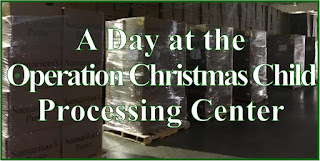 When we moved into our new home I immediately claimed the large downstairs laundry room as my Operation Christmas Child packing and crafting room. 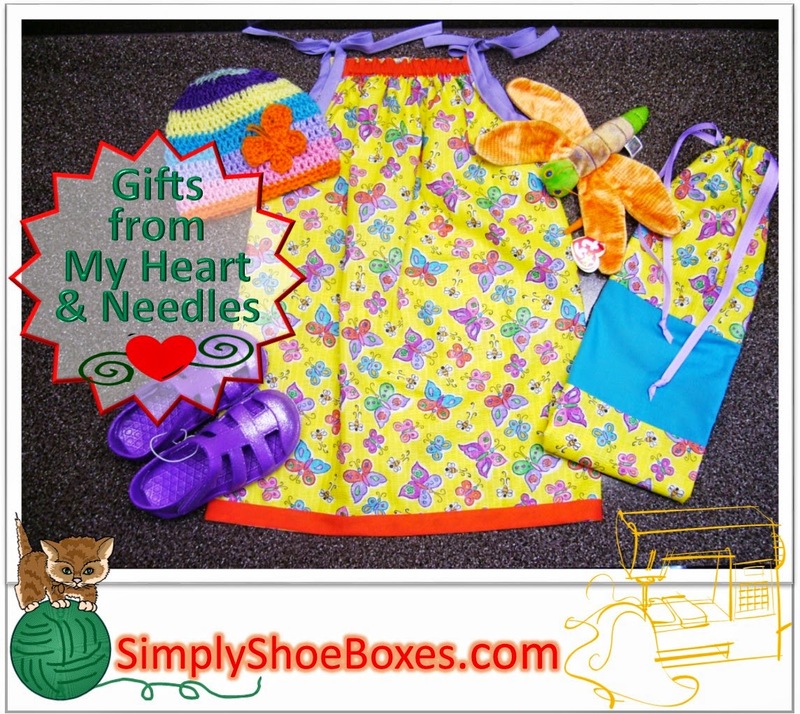 I have my sewing machine & cutting table set up so I can easily sew my pillowcase style dresses and other goodies to tuck inside my OCC shoebox gifts. My husband added the ceiling tiles so my room would be neater and cleaner and added extra lighting so it's nice and bright to work in. 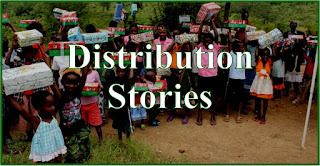 On Saturday I had gave a list of things I needed for my Operation Christmas Child shoeboxes and a $5 off $25 coupon from Dollar General to my husband daughter. They were going to stop by on their way home from the farmers' market. As they finished checking out the manager handed them a Family & Friends 50% off clearance or regular priced clothing or school products coupon. She said she knew they bought a lot of items for kids. They came home, checked what I needed and headed back. 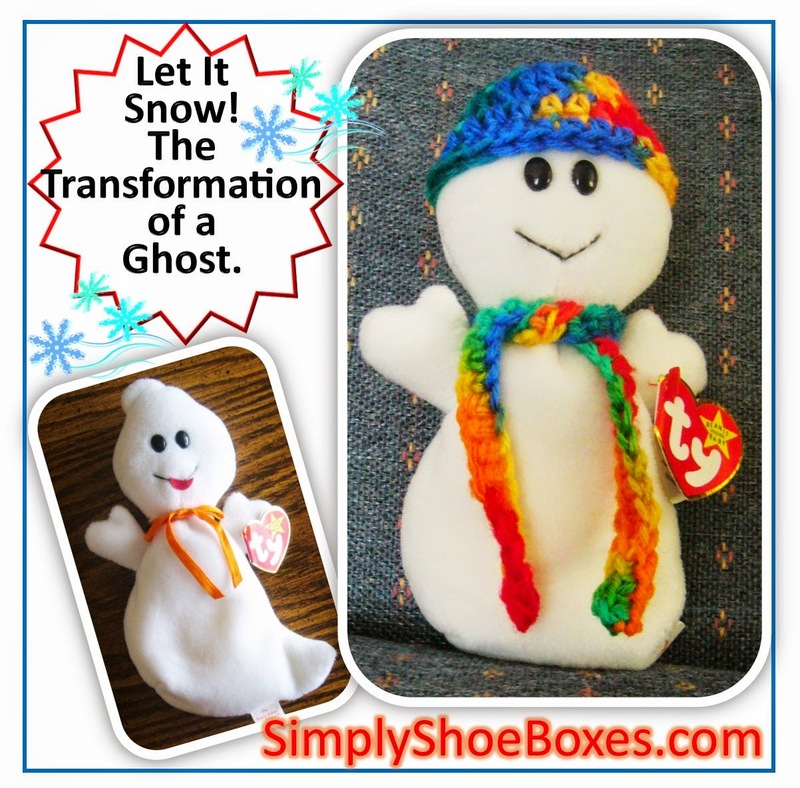 They found several items for both my 10 to 14 year old boys and 2 to 4 year old boys boxes. When they checked out another employee gave them another one of the coupons! I just loved these Fisher Price short sets that they picked up for $4. They decided they would stop by another DG on the way home from church. BINGO!!! That store had the short sets at $5 so they paid just $2.50 and were able to pick up seven more sets! 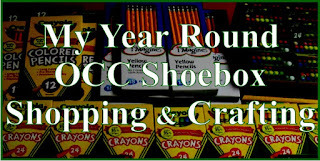 You can see all of weekly shopping posts here: Shoebox Stockpile Saturday ~ Adding to Our Operation Christmas Child Shoebox Stockpile.